Before he even took delivery of his car, Larry knew that he doesn’t just a regular M3, but rather a highly personalized one to stand out in the sea of sports car. Working with BMW M Individual team, Larry became familiar with the customization process and the options available. 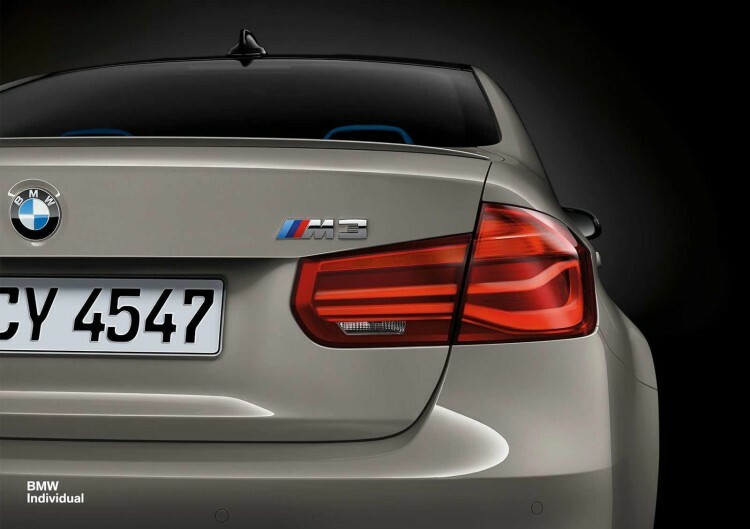 The process started in March of 2014 determining which color options were available or could be made, both for inside and outside of the new M3. After several emails, renderings and a few phone calls, the M3 design was finally completed. With the help of the BMW Individual folks in Germany, renderings of the interior were produced to highlight the final product. Larry says these renderings were very helpful in the design discussion and ultimately helped to make the final call. From the beginning, he knew a blue interior leather was a must. 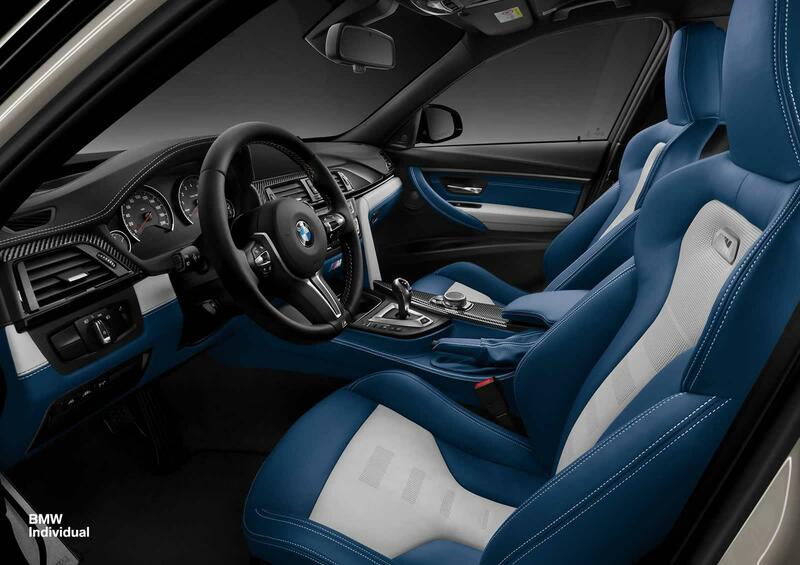 BMW offered to produce a sample swatch of the leather and this led to the combination of Fjord Blue and Silverstone. The center backs of the front seats, the center console, e-brake boot and handle as well as the center piece under the A/C controls are all covered in Fjord Blue leather as well. Next on the list was a unique paint job for the exterior and Larry took a page from Porsche and opted for the Fashion Grey paint, an interesting color which takes on different hues in different lighting and angles. This color was in the BMW Individual optioned colors so no extra cost for the developmental premium for this color. BMW M Individual is the best way to give your car a unique character and over the years, BMW has adjusted this process to be very accommodating for the customer. A true bespoke offering which is often seen on high-end cars like Rolls Royce. 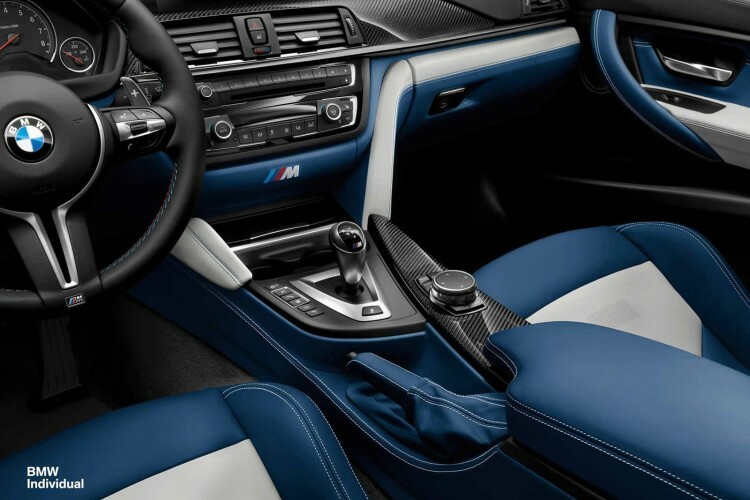 There are restrictions as well and in Larry’s M3 things like custom Alcantara headliner, custom color brake calipers or custom colored seat belts were out of the scope. The photo gallery below gives you a close look at how this beautiful M3 came to life. Previous post Which supercars are faster than the Tesla Model S P90D?